Standard export wooden case with operation manual and video inside. Computer screen display hydraulic UTM mainly adopts main machine of underneath-type oil cylinder, worm gear drive, mainly used in mechanical property test in the way of tensile, compression, bending and shearing for metal, nonmetal, composite material and product, etc. And it can also conduct test and data process according to GB, ISO, JIS, ASTM, DIN and standards user provides. 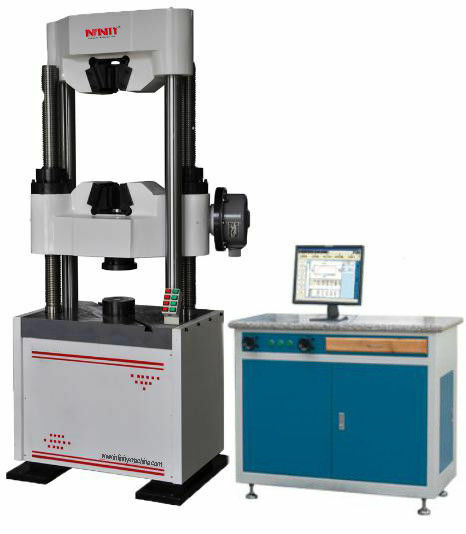 Widely used for check and analysis on materials in industries including building construction, metallurgy, aerospace and machine manufacturing, it is ideal testing equipment for scientific research institutions, institutions of higher education, industrial and mining enterprises, technical supervision, arbitration inspection department and other departments. The main machine adopts underneath type of oil cylinder, tensile space is above the main machine, compression & bending & cutting space is between the lower cross beam and working station. 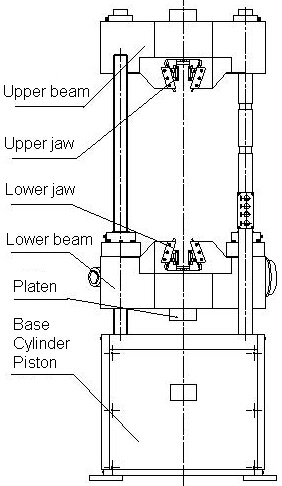 It adopts transmission mechanism of worm gear traversing movable cross-beam to adjust test space, so that the drive system and positioning system are completely separated, geometric center of loading system is in full accordance with center of force, and also guaranteeing the coaxiality of upper and lower jaw and the durability of machine. It conforms to more than 30 relevant regulations of national standards, like GB228-2002,GB228-2010. 2. 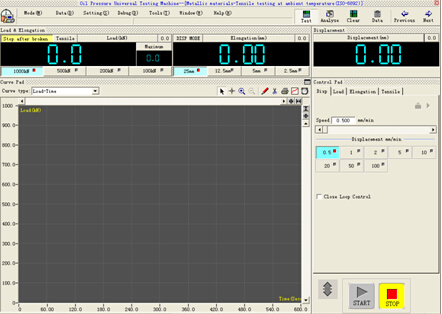 Batch test can realize classified display for curve, and curve follows automatically. 3. Monitoring test process: can realize real-time display for various parameters like test force, displacement and curves in the test. management function by setting different passwords protection. 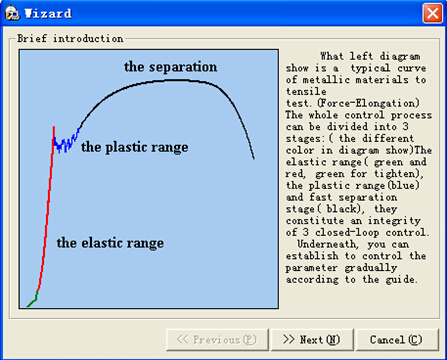 analyzed by superposition and fractionated gain of various curves. parameters modification and normal test.